The enduring presence of the St. John Lutheran Church congregation is a testament to its members and to the essential role the church has played in Darien’s history. In 2009, St. John Lutheran Church celebrated its 150th anniversary and published a commemorative history. This excerpt from “150 Years of Sharing God’s Love His Way” and The Doings article from October 8, 2009, page 12, St. John’s Lutheran Celebrates 150-year history provide an excellent overview of St. John’s history. On January 22, 1859 three acres of land (67th Street and Clarendon Hills Road) were purchased for $30 to build a church and a cemetery. St. John Lutheran still owns the cemetery. In 1893 the congregation added a parsonage and a steeple and a bell to the church. The steeple was 10 feet square and 48 feet high. Conrad Buschmann donated the bell which weighed 921 pounds and cost 168.56. The bell hangs in front the present church. 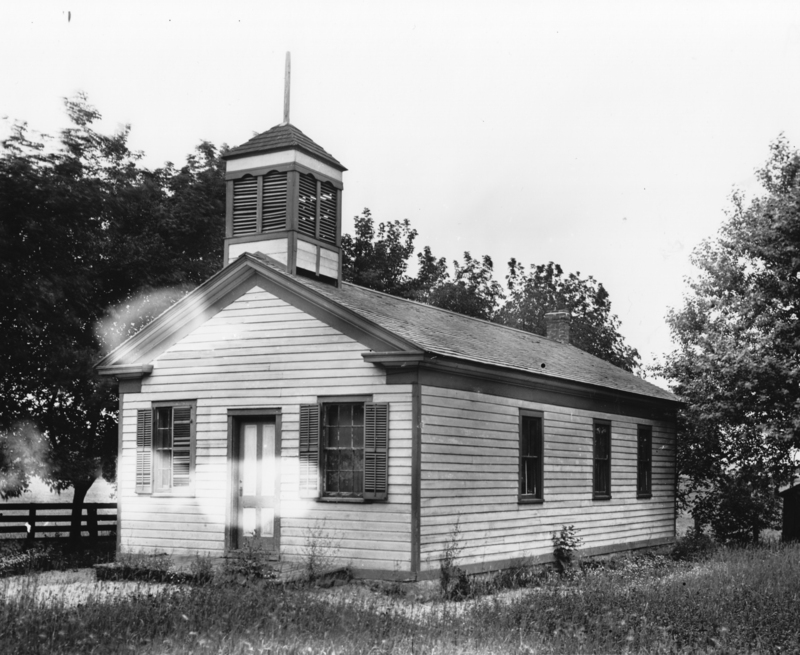 In 1899 the congregation built a new church on land donated by Conrad Buschmann (where the Taco Bell is today on the corner of 75th Street and Cass Avenue). In 1915 a monthly service in English was started. In 1922 English services were held (in lieu of German services) on the 1st and 3rd Sundays. In 1950 German services were discontinued. On August 25, 1968 the last service was held in the Church located at 75th and Cass Avenue. On September 12, 1971 the current church was dedicated at its present location of 7214 Cass Avenue. Check out the photos of St. John Lutheran Church and Cemetery on Flickr.